Taste typical Norman farm products ! Our family farm "the orchard of Giverny" is located on the hills above the Giverny village, 3 kilometers from Monet's house on the outskirts of a small village : "La Chapelle Saint-Ouen." We welcome groups from 25 to 100 persons for light meals. Tea time break: home-made apple-pie and glass of cider or apple juice. 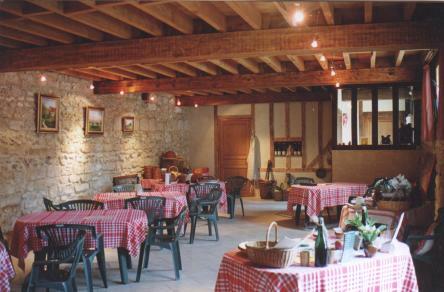 Discovery: Tasting of apple juice, cider, Aperitif and Goutte de Giverny. Includes a guided visit of the farm. 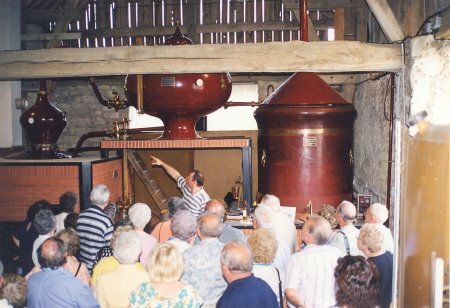 Groups of visitors are welcome between April 1st and October 31st for a visit of the cider cellar and a tasting of typical farm products (especially our cider and home-made apple-pies). 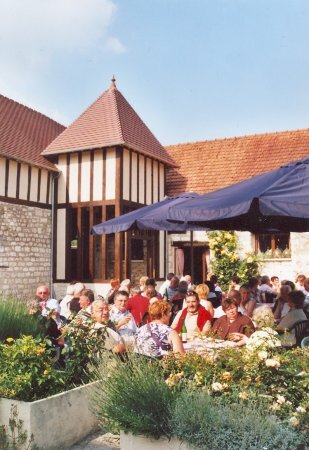 If the weather is fine, tasting can vbe served on the terrasse under the parasols. 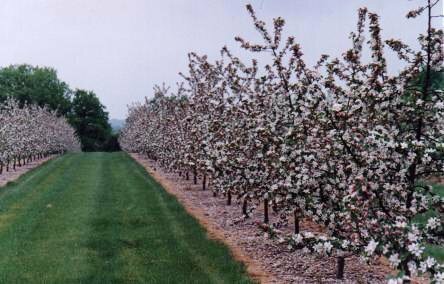 Located on the Giverny hills, our orchard was planted in 1991 and specialises in apple trees for cider. Our 4000 apple trees oversplit mongst ten varieties which allow the producer to choose the best blend thus obtaining a golden and aromatic juice. 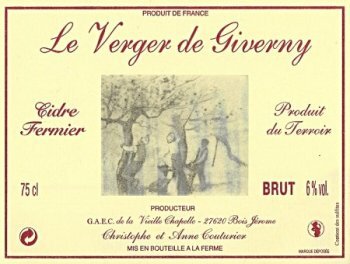 Make a nice sparkling present : offer bottles of Cider from Giverny ! 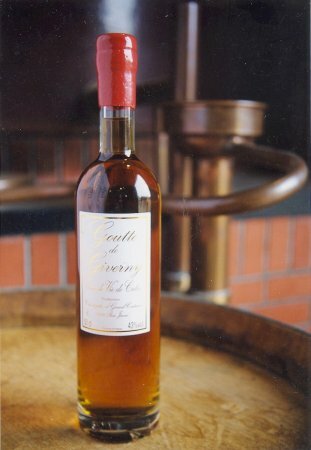 The cider from Giverny is a nice gift as well as the "Goutte de Giverny", an apple spirit made on the farm.